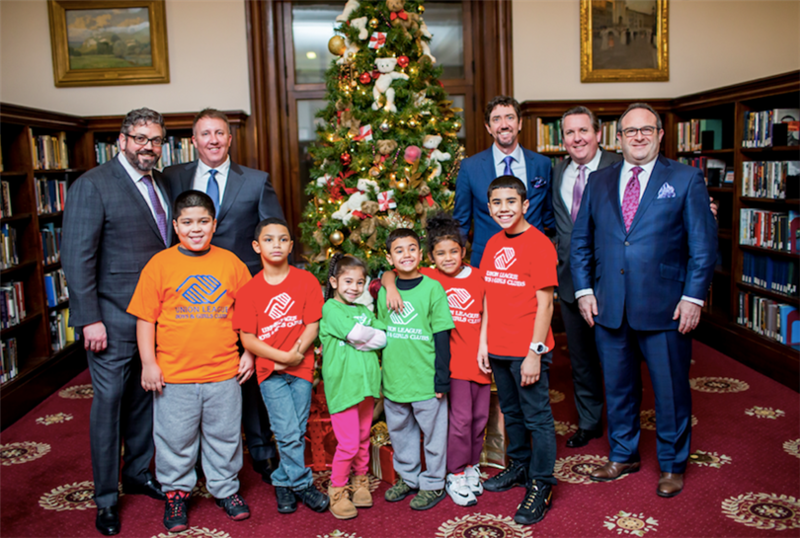 Chicago brokerage Urban Real Estate invited clients, friends, and brokers for its annual holiday gathering, supporting the Union League Boys & Girls Clubs (ULBGC). Kids from the city's south side, along with members of the organization's staff, were on hand to help tell the story of the importance of funding the ULBGC programs, as well as the support, meals, and guidance offered to hundreds of students across the Chicagoland area. "There is nothing more important than helping ensure our youth have the guidance and support they need to thrive, especially under tasking financial and social constraints that add to the challenges families face raising their families across our city," says Matt Farrell, managing partner, Urban Real Estate, and a long-time supporter and volunteer with the Boys & Girls Clubs. "Anything we can do at the holidays, and throughout the year, is a token of our gratitude for the work this incredible group does." See more of the event photos's here on Facebook.